Face-painting is such a hit with children, teens and senior citizens leaving them with a real fascination and perhaps make dreams come true!!! Whether it’s a Fair, Convention, Birthday Party, Bar-Mitzvah, or just a get together, give us a call for a quote and availability. Most reasonable pricing available to you by the hour or occasion. 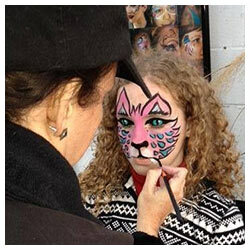 Enjoy an exciting atmosphere at our Face-Painting studio located at 827 Broadway Avenue, Stowe Twp., McKees Rocks, PA 15136. 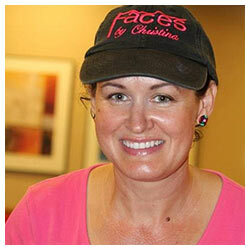 Enjoy a full face mask painting and 5x7 picture to take home for great memories. Call for a quote and appointment at 412-736-9380.
owned and operated by Christina DiCenzo is insured by the Performers and Vendors Insurance Co of the U.S.
Only the finest quality, theatrical, water-based paints and brushes are used.